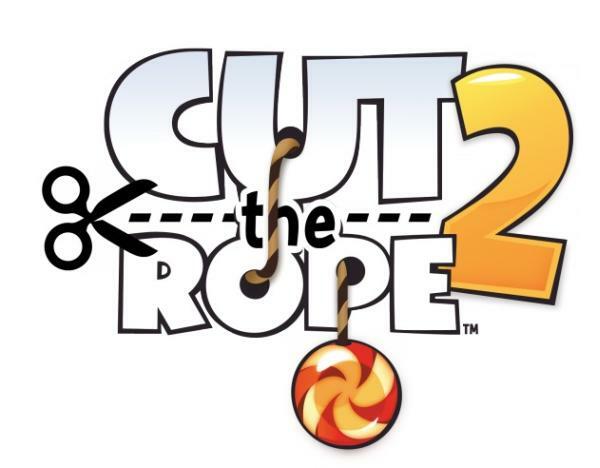 Over the last couple of years mobile users have been treated to a number of gaming apps that have really grabbed the publics imagination with some simple and highly additctive gameplay, and now the Cut the Rope 2 release news lacks details. Shortly after being released towards the end of 2010 the Cut the Rope game proved to be a huge sucess for both the Android and iOS platforms. We have seen a couple of other titles but now the developer ZeptoLab has announced an official sequel to the original game is on its way. The company stated that Cut the Rope 2 will be released at some point this holiday season but didn’t provide a more accurate date, or reveal if the game will launch on both the Android and iOS platforms simultaneosly. They provided the image that you can see on this page along with the new title will be a massive step forward for the game , with amazing graphics and gameplay. Om Nom will be making another apperance along with some new characters and improvemnts to the gameplay mechanics. There will also be some interactive enviroments as well as a brand new storyline, and the title will surely prove to be really succesful again. Hopefully Android users will get to see the new game at the same time as iOS users, but only time will tell. Are you looking forward to this new game?